The Michigan Council on Economic Education is a 501(c)(3) nonprofit working as a public/private partnership – the primary resource for Michigan’s K-12 teachers and school districts seeking training and classroom resources for economic and financial education, at little or no cost thanks to financial support from partners. Our goal is to reach and teach every child to create a more informed citizenry capable of making better decisions as savers, investors, borrowers, voters, and participants in the global economy. We do this by educating the educators: providing the curriculum tools, the pedagogical support, and the community of peers that instruct, inspire, and guide. 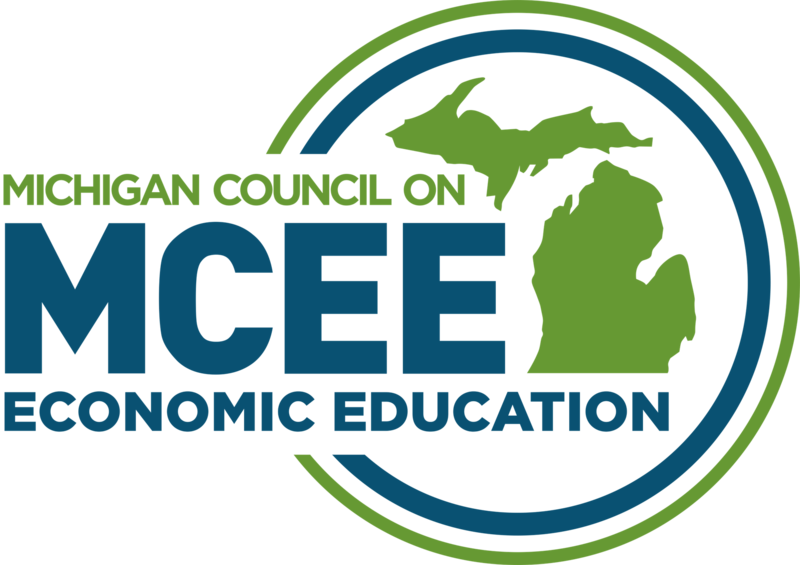 The Michigan Council on Economic Education is a state affiliate of the National Council for Economic Education. Each year CEE, through its network of over 200 national affiliates (state councils and university-based centers for economic education), trains about 55,000 teachers who reach approximately 5 million students. Our global economy has become so complex that the gap between what people know about economics and personal finance, and what they need to know, is widening every day. Americans are increasingly responsible for their financial future; yet an alarming number lack even basic economic awareness. Only 43% of 12th grade students tested at or above proficient on the most recent National Assessment of Educational Progress (NAEP) economics assessment, and American teenagers fall in the middle of the pack globally in financial literacy, performing around the average of the 18 countries that participated in PISA’s financial literacy assessment. Many parents are ill-equipped to instruct their children in economics and personal finance, and teachers, too, are often unprepared to impart this essential knowledge.